By Lawrence Karol. Photography by Julie Brothers. 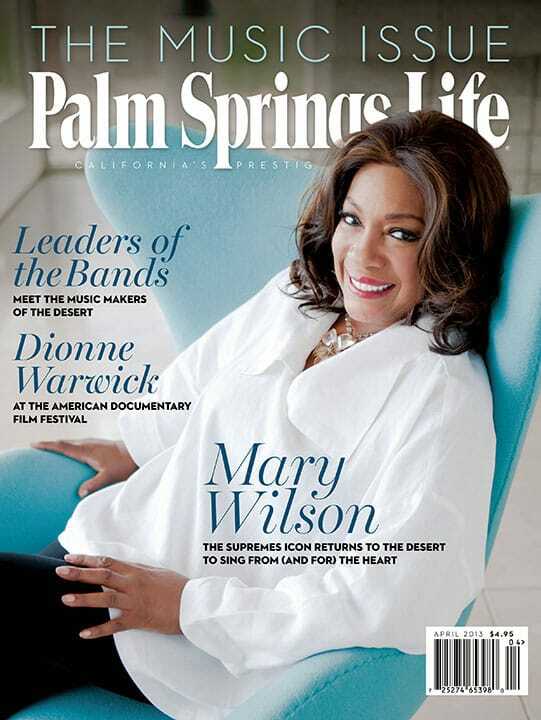 Performing at this month’s Red Hot Heart Ball Gala, iconic singer Mary Wilson says Palm Springs feels like her second home. The legendary singer comes to Palm Springs to discuss the new documentary about her family’s influence on 50 years of gospel, soul, and R&B. By Caroline Ryder. Photography by Elena Ray. Pioneers of the desert’s indie-rock scene reveal a vibe that runs deeper than this month’s Coachella festival. By Judd Spicer. Photography by Chris Miller/ Imagine Imagery. Byron Smith took his game on a road less traveled before returning to the desert and finding a path to greater glory. By Sheila Grattan. Photography courtesy Palm Springs Historical Society and Palm Springs Life archives. Celebrity and civics collide, giving Palm Springs government a special shine. Plus: 75 reasons we love Palm Springs. At Salton Sea, North Shore Yacht Club is alive! Donna MacMillan’s hot seat, Larry Pettinelli of Patek Philippe, the new formal, beauty tips for spring, and more. La Quinta author Tod Goldberg types “The End” on another manuscript. At DeLuca Jewelers, a collaborative experience turns out customized designs. Be seduced by Fab Figs; Toscana Country Club tops $104 million in home sales; Steven Jordan Brooks’ Hollywood The Band, and Sunnylands for the Pacific Rim. Fewer distress sales affect overall home-sale numbers, as price normalization sets in. For high Mars, seize the day. 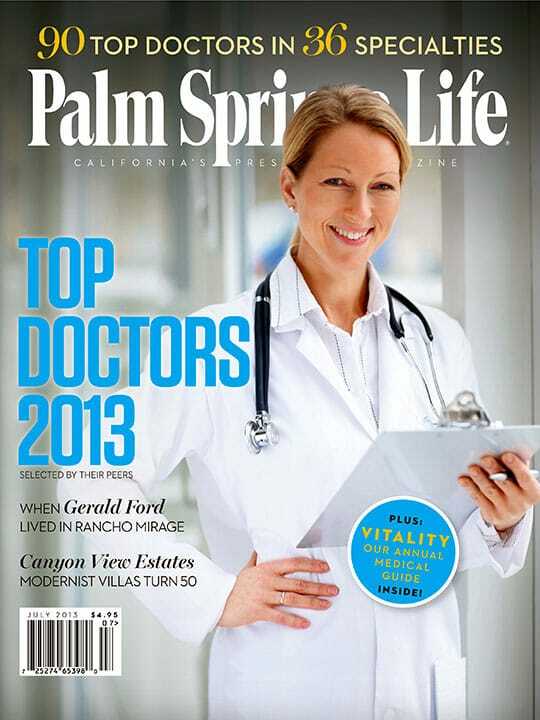 Palm Springs Life partnered with Five Star Professional to find wealth managers in the Coachella Valley who provide quality service to their clients. Make it a destination wedding!